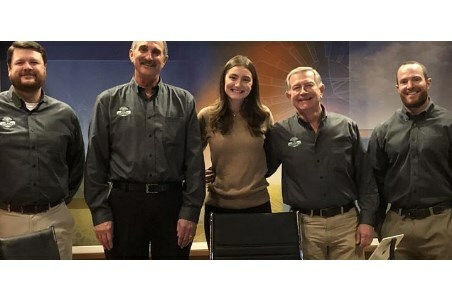 The Crop Vitality™ business unit of Tessenderlo Group will be appearing on RFD-TV's Rural America Live on February 4, 2019 at 8pm EDT in the United States. The show will feature members of its North American Crop Vitality team sharing their thoughts on how growers can better prepare their soils for the season ahead along with strategies to incorporate soil health into your overall nutrition programme. “The beginning of each planting season can be quite different than the next. Growers need to be prepared for a variety of different situations and we are committed to helping navigate those situations," states Dr. Zack Ogles, Crop Vitality Agronomist. “Our Crop Vitality nutrition products can be blended and applied to the soil before the seed is planted, when the seed is planted, and during specific growth stages to increase the crop's maximum potential. Growers and crop consultants have counted on our nutrition to help them produce high quality corn, soybean, wheat, and cotton for over 70 years." Zack Ogles will join Leon Stites, Jennifer Lytch, and David Skillstad to discuss how the family of Crop Vitality sulfur-based liquid fertilizers, soil amendments, and nitrogen stabilisers help crops reach their maximum potential, while using water and soil resources more efficiently. All will share their experiences from years of work in the fields and findings from recent trials to demonstrate why chemistry matters. Growers and retailers will have a chance to have their specific questions answered on air by calling into the Rural America Live phone number during the hour-long broadcast.